He said the agency will continue its work on Nutrition Facts, menu labeling and definitions, as well as pursue measures to improve consumer health. After Donald Trump was elected president, many worried his distaste for government regulations and science would negatively impact food and nutrition — especially because several sweeping policy changes were still pending when he took office. But Food and Drug Administration Commissioner Scott Gottlieb said last week that Obama era regulations dealing with consumer information — as well as labeling, ingredient and standard of identification initiatives — are at the center of a new nutrition innovation strategy. The goal of these actions is improving the health of all Americans, regardless of socioeconomic status, and empowering them to make better nutritional choices, he said during a keynote address at the National Food Policy Conference in Washington, D.C.
​More than a fifth of American deaths in 2015 could be attributed to poor dietary factors, according to American College of Cardiology statistics Gottlieb mentioned in his speech. And those who are in the lower economic classes are often less able to easily access nutritious food. The FDA regulates 80% of all food consumed in the United States. Gottlieb also said research and facts will remain at the core of everything his agency does. “Clear science-based information is a central pillar to the work we do today at FDA, and it’s also a driving factor to better consumer choices,” Gottlieb said. Today’s consumers are interested in what they’re eating, and Gottlieb said FDA can use its regulatory authority to give them clearer information. “Consumers have long been interested in ways to identify healthful foods by looking at the label when shopping for groceries,” he said. Gottlieb highlighted several pending consumer information initiatives — the new Nutrition Facts label, calorie counts on foodservice menus, regulated definitions of “healthy” and “natural,” and voluntary sodium reduction guidelines — that are key to the agency accomplishing its goals. He vowed to complete them, along with providing more guidance and clarity for manufacturers to clean up their labels, tout nutritional benefits and define certain food items. Last year, Gottlieb announced FDA would delay the deadline for the menu labeling and Nutrition Facts initiatives. With each new regulation pushed back a year, some feared the delay may be the first step toward dismantling them. Gottlieb said last week these initiatives were important to the agency’s nutrition initiative. Both of them will help consumers get more information about the food they eat, and provide them with more of what they need to make healthy choices. In fact, Gottlieb said he wants to pair the rollout of the updated Nutrition Facts label with a public education campaign to help people know how many calories they should consume each day, as well as simple ways to switch out some ingredients for ones that are healthier. “Wherever possible, we’ll target our educational efforts toward certain subgroups that are at greater risk for nutrition-related disease,” he said. Gottlieb also said two pending FDA docket items — defining “healthy” and “natural” — will be addressed and completed. Right now, the definition of “healthy” hasn’t changed in decades and is mainly based on fat content — meaning items such as frosted toaster pastries are considered healthy while nuts, with naturally occurring fats, are not. Scores of manufacturers and stakeholders spoke out at a public hearing last year about what “healthy” in food should mean, and 1,143 have left comments on an open regulatory docket. Having a core definition for “healthy” food will be important in helping consumers choose what to eat, Gottlieb said last week. The agency will solicit stakeholder input on useful ways to communicate the definition to consumers. Any definition is likely to take nutrient content into consideration, the FDA official told the audience. “It’s clear that consumers increasingly want to know what is in the food they eat and whether it is natural. We recognize that consumers are trusting products labeled as natural without clarity around it." Consumers also are unclear on what makes food “natural,” a term that has never been defined by the FDA. Several lawsuits have been filed against manufacturers who claim their products are natural, but may contain trace amounts of chemicals. While judges have thrown out several of these cases, they continue to be filed. FDA opened a regulatory docket on defining this term in 2015. Gottlieb said more than 7,600 comments have been filed. During his remarks, Gottlieb committed to more far-reaching initiatives than just finishing what had been started during the Obama administration. Consumers would benefit from seeing label claims about how healthy a product is, but he said the current regulatory process can take a long time. Gottlieb noted he plans to open a docket soon that will modernize the way label claims are made. His goal is to give consumers an easy way to see health benefits of a product — something he said could be used as a competitive measure in today’s marketplace. Right now, many claims are about convenience or taste because those aren’t regulated by the FDA. 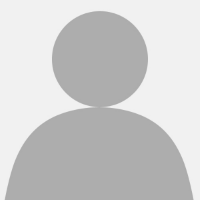 Additionally, he said he would like to come up with a uniformly understood and voluntary way to put these claims on the front of packages where consumers are most likely to see and respond to them. He also plans to open a regulatory docket to solicit input on the best way to do this. “If we could make sure that you can identify the healthful attributes of food, after it goes through a rigorous scientific process to make sure that people are not misled, and to make sure that information is prominent on the front of the label as, you know, ‘Cooks in 5 minutes,’ I think that may inspire consumers to look more carefully at the products,” he said. In another vein of providing consumers with better information on the food they eat, Gottlieb said he would like to make it easier for manufacturers to clean up their labels. Currently, some vitamins appear in food ingredient lists by their chemical names. FDA has received a request to re-evaluate the way potassium chloride appears on labels. Manufacturers say some consumers think it has something to do with bleach. If it could appear on an ingredient label as “salt,” and somehow indicate the nutritive value of potassium, the petition says that perhaps consumers would be more likely to buy the product. FDA also will take another look at standards of identity, which are regulations that define what ingredients or processes are required for products to be classified as something like mayonnaise or jam. Standards of identity were first issued in 1939 as a way to define the parameters of what should be added to prevent nutritional deficiencies, as well as to prevent deception. Today, Gottlieb said, some items may have standards of identity that are overly strict given advancements in food science, while other products may benefit from establishing standards of identity. For example, the definition of yogurt may need an overhaul to respond to recent innovations, and some cheeses currently cannot use salt substitutes. “Protection against economic fraud is still a critical touchstone for us, but we also see the need for flexibility for standards that allow better public health outcomes by encouraging manufacturers to produce more healthful foods that are still affordable,” Gottlieb said. The FDA set voluntary guidelines for manufacturers to follow for sodium reduction in 2016. Average consumption is about 3,400 milligrams per day, according to the American Heart Association. The guidelines suggest manufacturers cut their salt enough so the average person consumes 3,000 mg each day by the end of 2018. By 2026, daily consumption would be cut to 2,300 mg. Researchers have estimated that cutting consumption that much could prevent 500,000 premature deaths from stroke and heart attack in a decade, and save nearly $100 billion in health care costs. 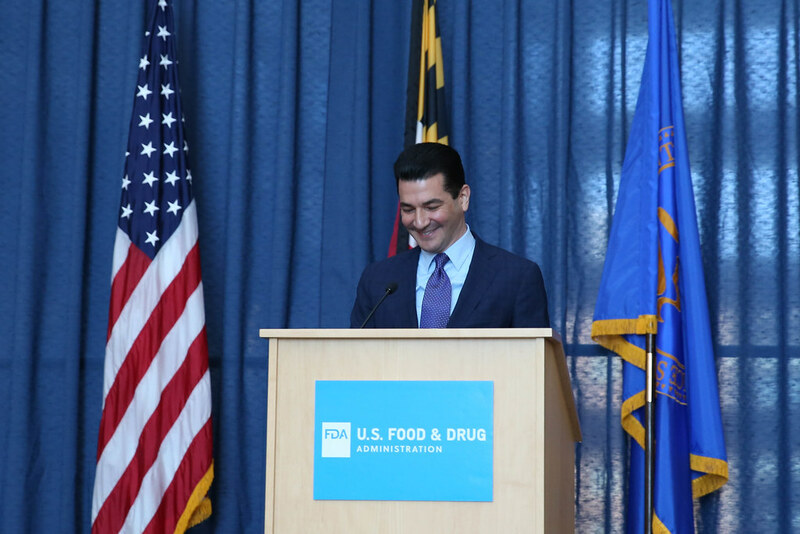 Gottlieb said the FDA is going to continue on the path of advancing the voluntary guidelines — and will align its recommendation with the research toward a new dietary reference intake being conducted by the National Academies. While Gottlieb’s speech touched on most of FDA’s pending nutrition initiatives, he did not talk about the Food Safety Modernization Act. In questions afterward, he said the agency has been working hard to implement all parts of the new food safety law, and it is on a “glide path” to get it all in place. Because FSMA is such a big new set of processes, inspections and regulations, Gottlieb said more time and care has been needed for some aspects of it. “I can’t remember a piece of legislation, frankly, that has been as sweeping, as a wholesale change in the FDA’s regulatory posture than this one, and I can’t remember a single piece of large legislation that didn’t have certain implementation challenges as FDA stakeholders start to get it right, and that’s what we’re trying to do here," he said.